This season, fabrics run the gamut, featuring antique seersucker, cotton madras, double-washed denim, and patchwork pieces. 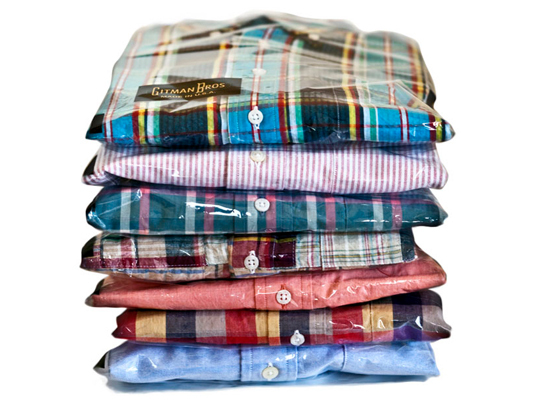 Although conventional textiles are used, the shirts themselves are constructed stateside, making Gitman one of the last remaining shirt-makers to manufacture entirely in the United States. 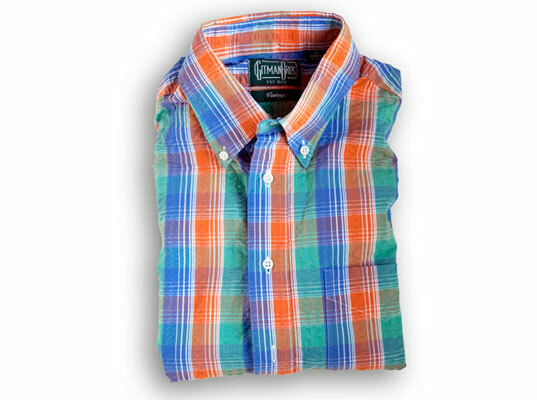 Gitman is one of the last remaining shirt-makers to manufacture entirely in the U.S. If you’re nostalgic for a time when workmanship was valued over the bottom line, take heart. The line also recreates details from the past, including double-track stitching, chalk buttons, locker loops, box pleats, and even the original “Gitman Bros. Est 1978” label. Hey, they do make things like they used to.